In addition to our 2D fractionated arrays we also offer identified, purified venom components. These are often requested as positive controls in assays, research tools, or even as enzymes for manufacturing processes. 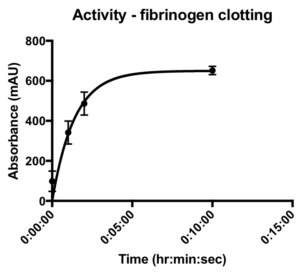 Many of these requests follow publication of a specific toxin activity, demonstrating its potential use as a tool where small molecules have failed. Ion channel targets are an example. Supply of purified venom products can also be the result of finding a hit from screening venom fractions and hit-to-lead confirmation. 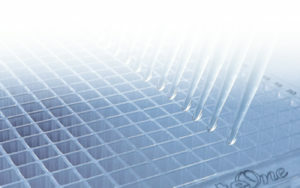 In all cases, we work with our customers to confirm the molecule required and optimise and/or develop purification techniques. 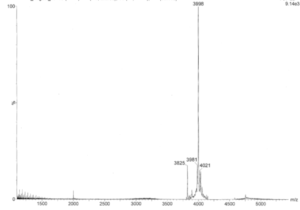 We can confirm identity through gel electrophoresis, mass spectrometry and, in the case of enzymes, activity. Since the 2012 discovery of venom peptides blocking Acid Sensing Ion Channels from the Black Mamba (Dendroaspis polylepis), there has been growing interest in the use of these peptides to further understand this pain target. Mambalgin-1 and mambalgin-2 only differ by a single amino acid at position 4, namely tyrosine in mambalgin-1 and phenylalanine in mambalgin-2. 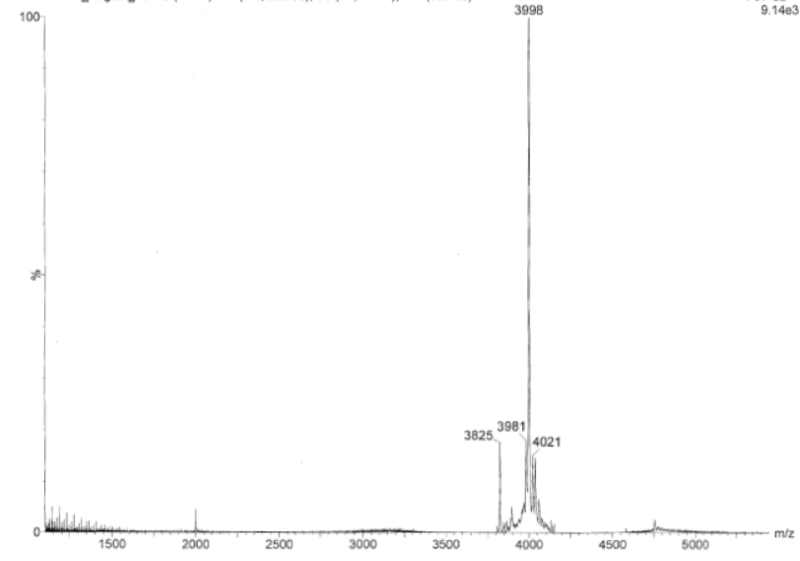 This corresponds to a single hydroxyl group difference within the 6.5 kDa peptide. In collaboration with the University of Kent, we successfully provided pure mambalgin-2 from crude venom with greater than 99% purity. This work is currently being prepared for publication. In 2016, a cysteine knot peptide was discovered from the Togo Starburst spider (Heteroscodra maculata) that activates the pain relevant sodium channel NaV1.1 Theraphosid venoms, such as this, contain many similar peptides and thus purification was challenging. We successfully carried out the process and provided gel and MS data as standard. Phospholipase A2 (PLA2) enzymes are key components of many venoms. They are typically small, at around 15KDa. Although their main function is hydrolysis of phospholipids, some have lost their catalytic activity and gained neurotoxic action. 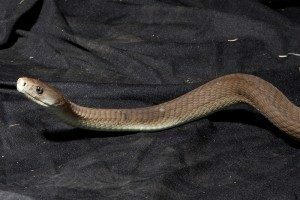 Malayan pit viper (Calloselasma rhodostoma) venom contains two PLA2 enzymes. 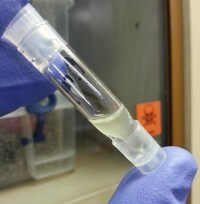 These were purified separately and activity was confirmed for both enzymes. These enzymes are prevalent in Viperid snake venoms. They cause rapid blood coagulation through degradation of fibrinogen and then defibrination from digestion of fibrinopeptides. 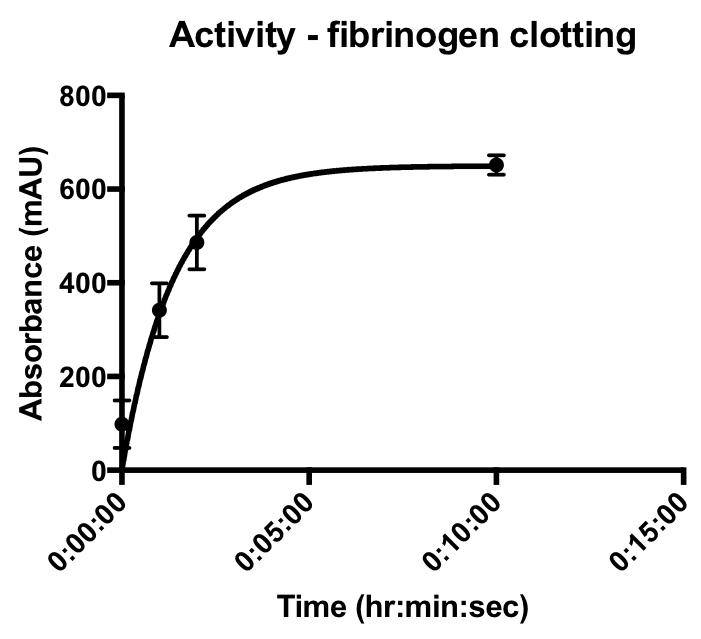 Serine protease was purified from Malayan pit viper venom and activity was confirmed in a plate based fibrinogen clotting assay.